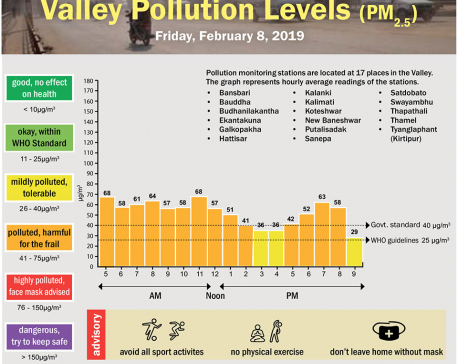 Valley Pollution Index for February 6, 2019. 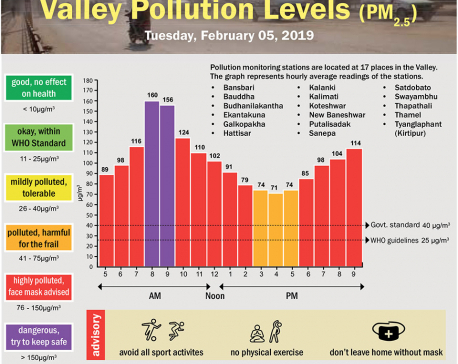 Valley Pollution Index for February 5, 2019. 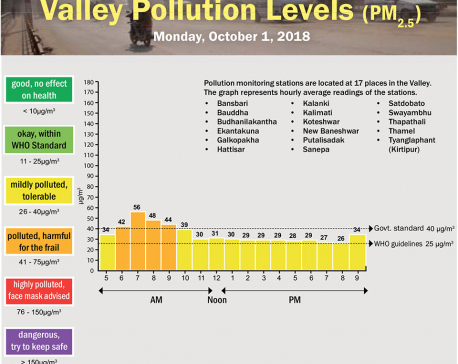 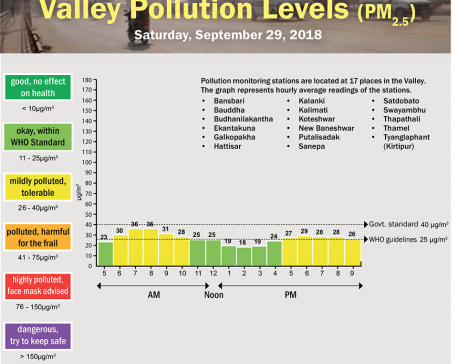 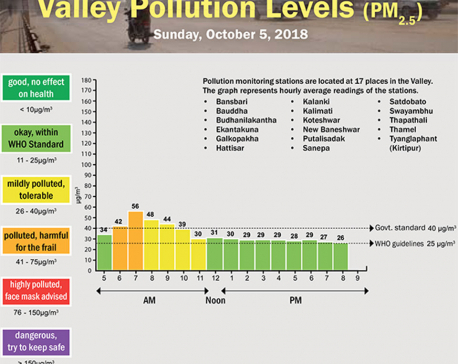 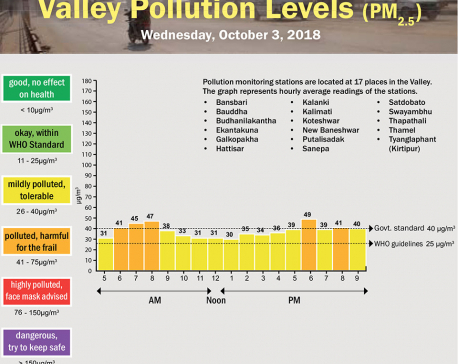 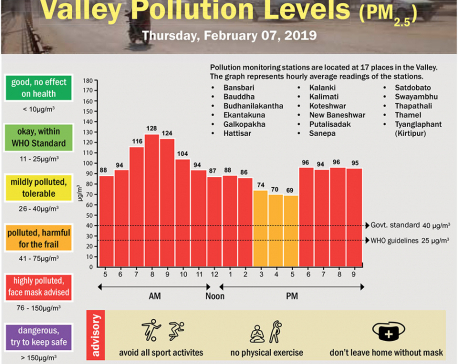 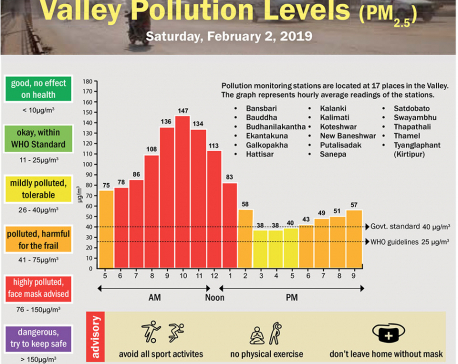 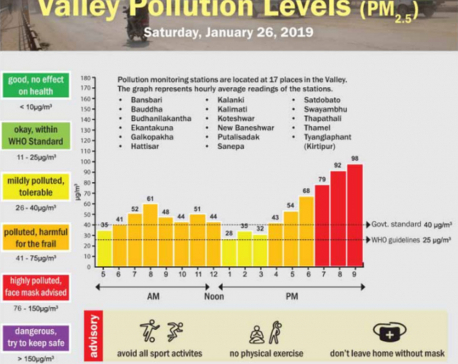 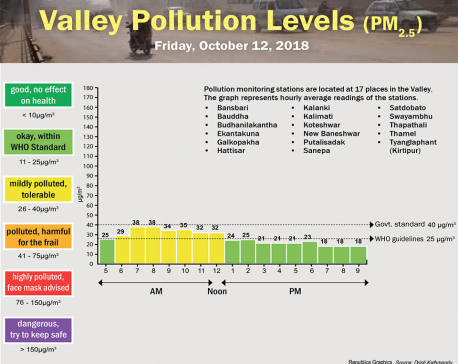 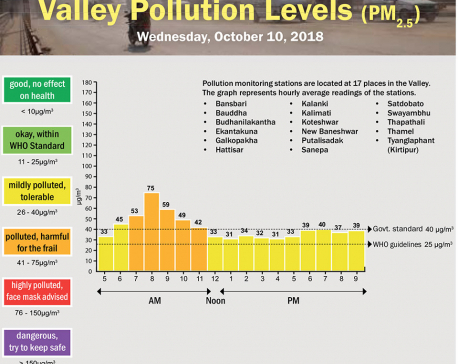 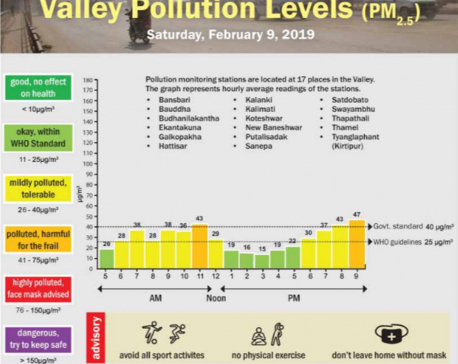 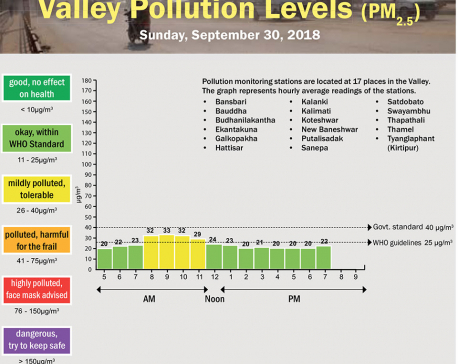 Valley Pollution Index for February 2, 2019. 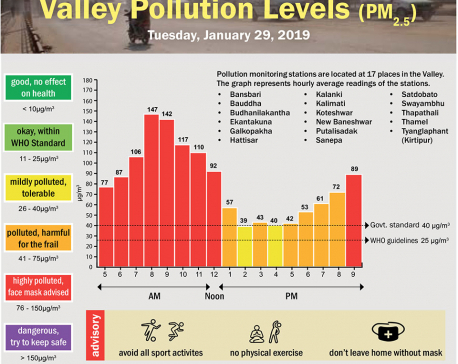 Valley Pollution Index for Jan 30, 2019. 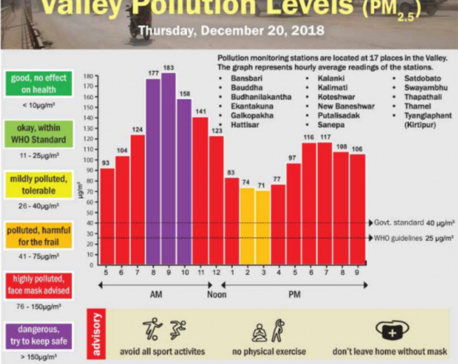 One day suddenly a guy blows his scooter’s horn and the girl passes with her friend...Looking at the person annoyingly but couldn’t see his face...It faded with the blowing air. 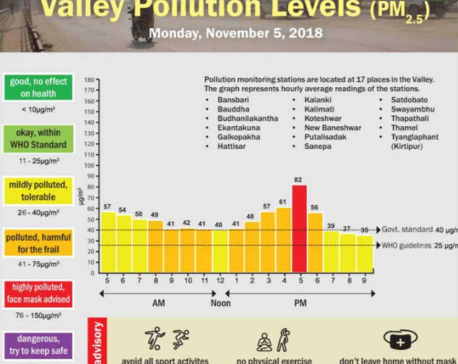 NEW DELHI, Nov 5: Air quality in New Delhi deteriorated on Monday as pollution level breached the 'hazardous' category. 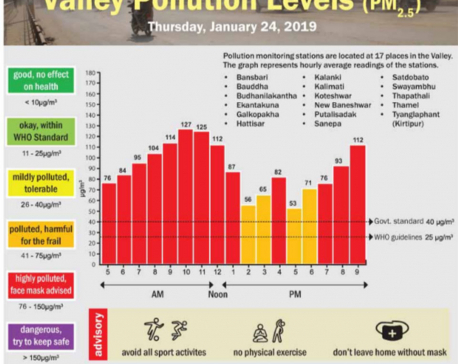 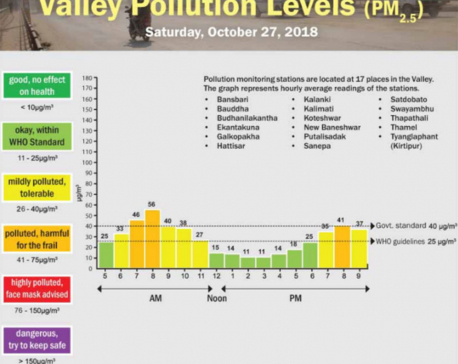 The Air Quality Index (AQI) around Mandir Marg touched 707, while the areas surrounding Major Dhyan Chand National Stadium and Jawaharlal Nehru Stadium were at 676 and 681, respectively, under 'hazardous' category. 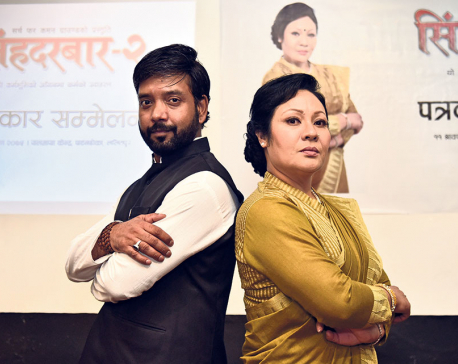 Search for Common Ground and United States Agency for International Development (USAID) held a joint press meet to announce the airing of the season of the TV series of ‘Singha Durbar’, at the Yala Maya Kendra, Patan Dhoka on Friday. 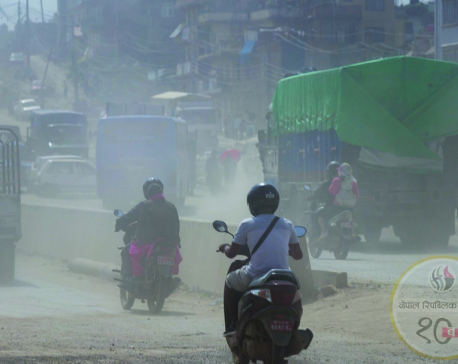 The 13-episode TV series is scheduled to debut through Nepal Television from 8:50 pm, Saturday. 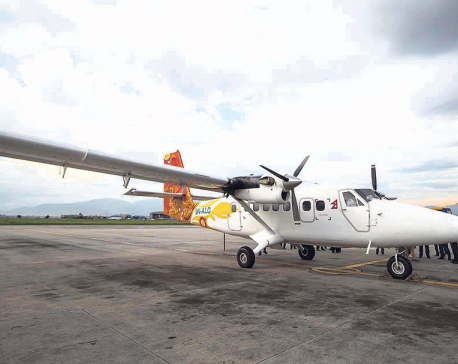 KATHMANDU, July 22: Tara Air has added new Viking DHC6-400 Twin Otter aircraft to its fleet. 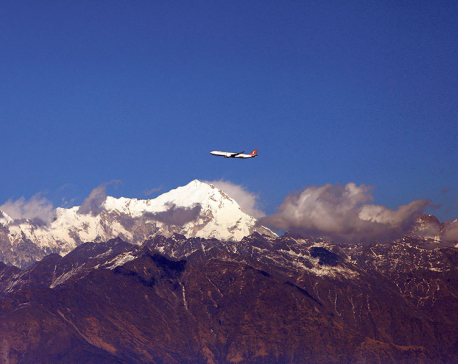 The aircraft arrived in Kathmandu on Friday from Seychelles via the Maldives and India. 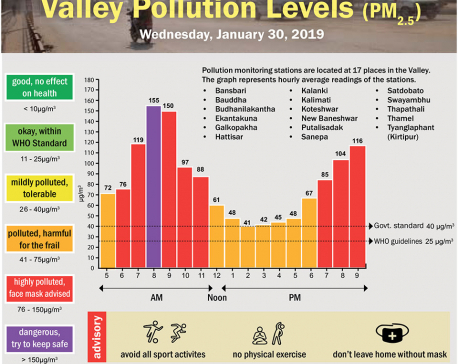 Kathmandu once flaunted serenity. 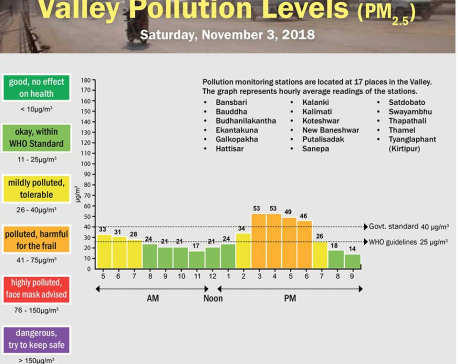 At present, the scenario has changed drastically. 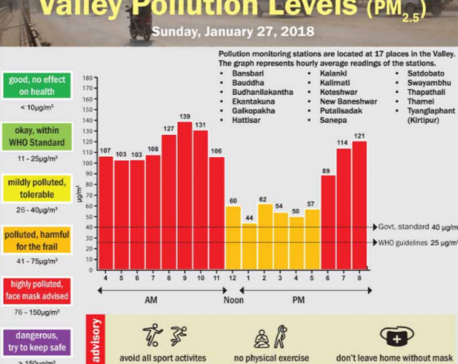 What once was known for its vibrant culture and lifestyle now carries an ill-reputation of being a dust adobe. 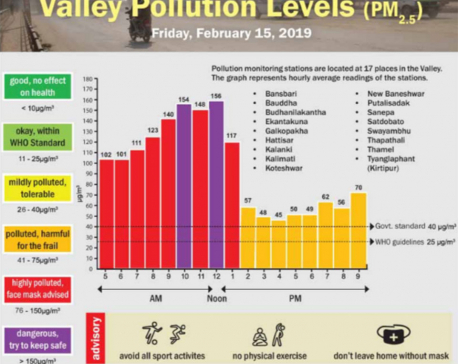 The growing level of air pollution and effluences makes life in the capital difficult. 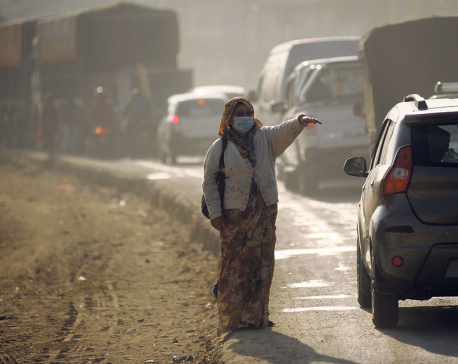 Further, it’s common to find masks onto faces of the majority of the denizens while roaming the streets of Kathmandu. 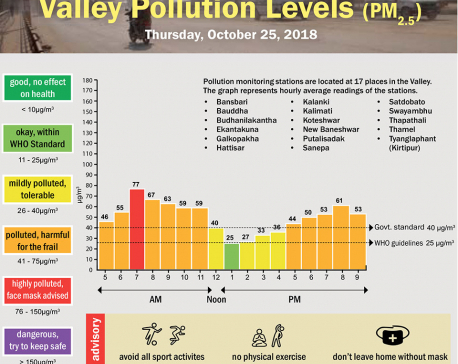 However, even with the precautionary measure, people are still prone to an array of respiratory ailments. 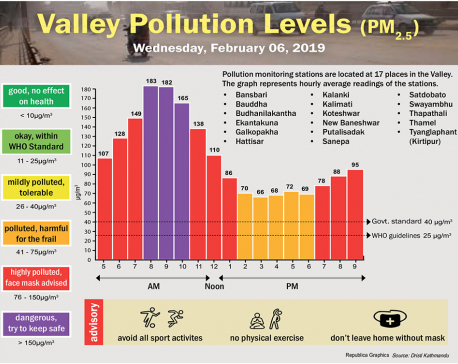 KATHMANDU, July 8: Buddha Air has received permission from Civil Aviation Authority of Nepal (CAAN) to operate scheduled flights to New Delhi from Nepalgunj. 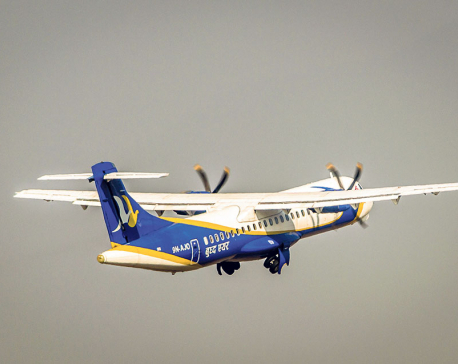 The privately-owned carrier had applied to CAAN, seeking permission for fight operation on June 23. 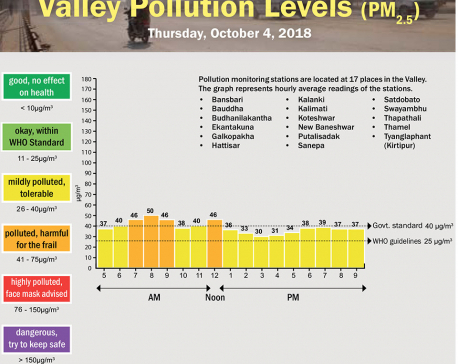 BANKE, July 3: Air service to the mountainous districts of Karnali from Nepalgunj has closed due to the incessant heavy rains. 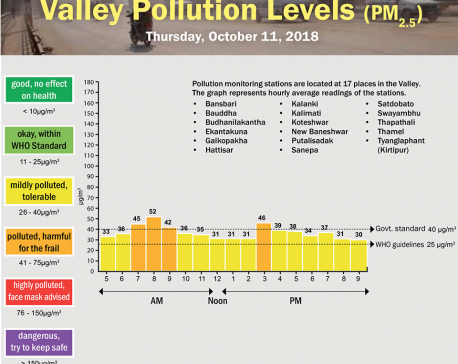 KATHMANDU, June 30: Privately-owned Buddha Air began scheduled commercial flights to Varanasi of India, from Friday. 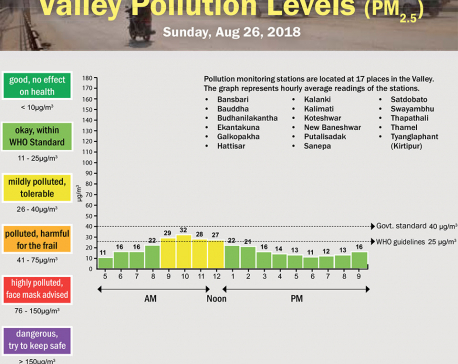 KATHMANDU, June 27: Tribhuvan International Airport (TIA) halted all flights on Sunday while Prime Minister KP Oli was returning from his official visit to China. 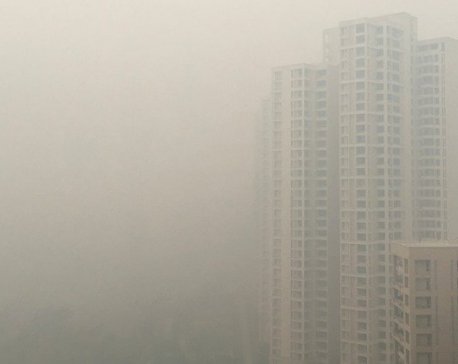 Both domestic and international scheduled flights were halted for 30 to 45 minutes. 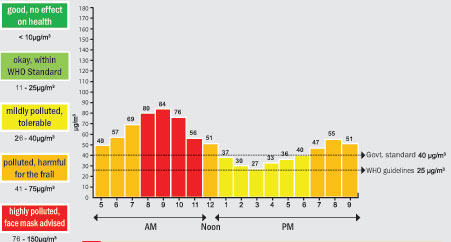 Some of the flights had to wait for an hour. 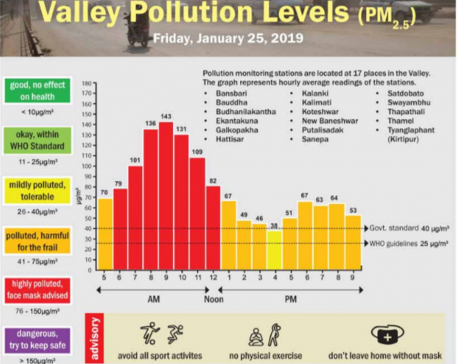 Such disruptions caused by VVIP movements are always much resented by the public. 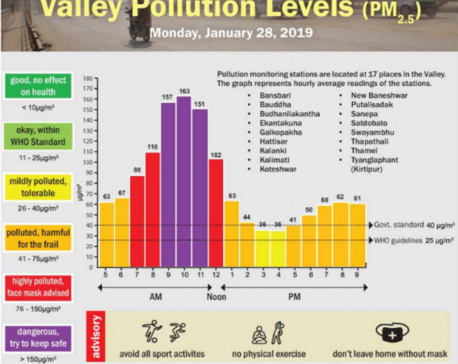 KATHMANDU, June 24: Buddha Air has applied at the Ministry of Culture, Tourism and Civil Aviation, seeking permission to operate Nepalgunj-New Delhi flight. 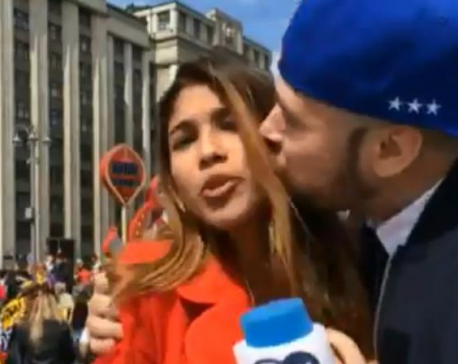 MOSCOW, June 21: A female reporter groped live on air at the World Cup has spoken out about harassment by sports fans. 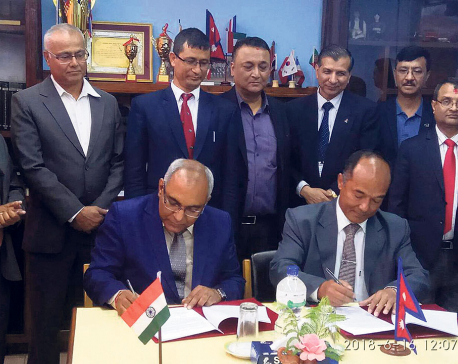 KATHMANDU, June 21: Although the agreement between Nepal and India for new air routes has been considered a big achievement for the country, the agreement has also been criticized for not being beneficial to Nepal as expected. 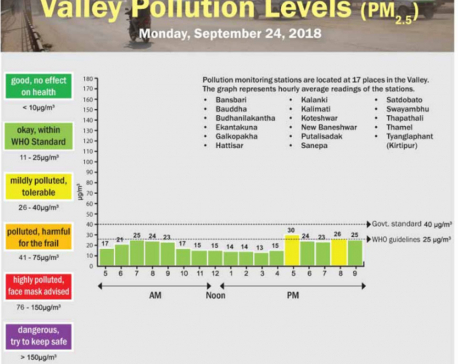 KATHMANDU, June 16: India has provided new air entry routes for Nepal over Biratnagar and Janakpur. 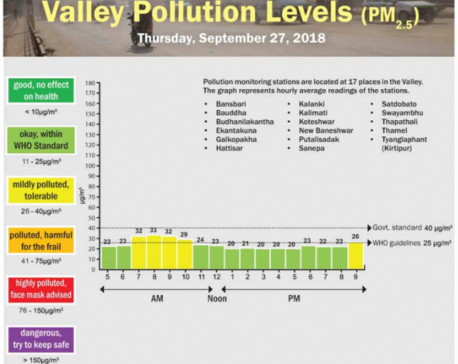 KATHMANDU, June 13: Clean Energy Nepal in collaboration with the US Embassy in Nepal held a workshop entitled 'Open data for policy formulation, decision making and citizen-government partnership to improve air quality' on Tuesday with the aim to sensitize stakeholders on the importance of data-based decisions.